Polywater® Lubricant F is a high performance, pourable liquid recommended for long and difficult fiber optic cable pulls. It is slow drying and leaves a lubricating film after its water base evaporates. 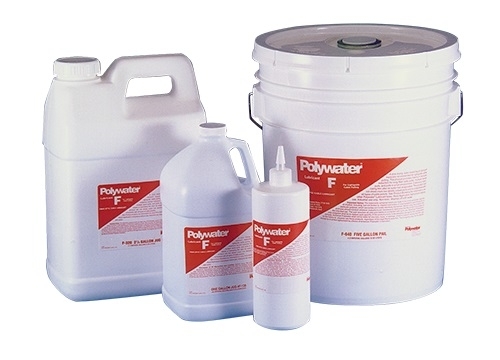 Polywater F does not stress crack low density polyethylene and is compatible with all types of cable jackets.